If you produce or sell fruit and vegetables which are subject to marketing standards, some of the processes you follow will change if the UK leaves the EU without a deal. Read the guidance on marketing standards for fresh fruits and vegetables. If you import EU fruit and vegetables into the UK, marketing standards processes at UK borders will not change in the short term if the UK leaves the EU without a deal. 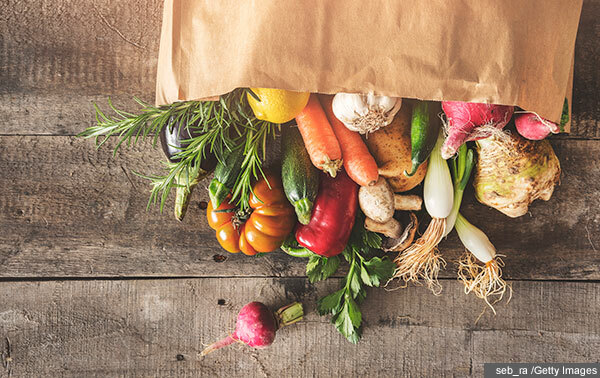 If you import fresh fruit and vegetables that originate within the EU, or third country goods which have cleared customs in the EU, you will not need to apply for a UK-issued certificate of conformity ahead of arriving into the UK. Department of Agriculture, Environment and Rural Affairs (DAERA) will carry out additional compliance checks inland to ensure that EU fruits and vegetables entering the UK market are of high quality and comply with UK marketing standards. They will not carry out marketing standards checks at the border. This process is likely to change following a government review. The UK government will keep you informed of any changes. The Canary Islands, Guadeloupe and Martinique are classed as EU countries for the purposes of fruit and vegetables marketing standards inspections. Marketing standards checks will continue to be carried out at the border. If produce is regulated by both marketing standards and plant health, multiple inspections will only be carried out for imports that are assessed as being very high risk. Very high risk goods include imports that meet the ‘high risk’ criteria and originate from high risk countries. The UK government will work with you to avoid unnecessary delays. The UK will continue to accept certificates of conformity issued by countries in the Approved Inspection Scheme (AIS). Most imports from countries on the AIS scheme will not require routine marketing standards checks, but a small sample will be randomly selected for inspections. Produce from businesses on the Approved Trader Scheme (ATS) will be classified as low risk and will not usually require marketing standards checks. You may need to make additional preparations to comply with EU and UK marketing standards regulations and ensure a smooth process if you export fruit and vegetables to the EU. If you export these products to EU or non-EU (third) countries, you’ll need to apply for a UK-issued certificate of conformity for your produce to clear UK customs. You can do this by contacting DAERA. For exports to the EU, you may also need a certificate of conformity issued by EU inspection agencies as the EU may not accept UK-issued certificates if the UK leaves the EU without a deal. The UK government is working with the EU to simplify these processes, but you’re advised to get both UK and EU-issued certificates of conformity for exit day. How you apply for an EU-issued certificate of conformity varies for each EU member state. You’ll need to contact the appropriate authority at the destination country for guidance on applying for a certificate. If you import fruit and vegetables into the UK from a third country and a proportion of your consignment is re-exported to the EU, your consignment will need to undergo both import and export processes. If you export fruit and vegetables subject to GMS you will not need a certificate of conformity for your produce to clear UK customs. Visit Prepare for EU Exit to find more guidance on policy changes relevant to your sector and sign up for updates.